Beautiful Turquoise Gemstone Necklace with Silver Crystals and Silver-dipped Spacers. This necklace opens with decorative Floral Clasp. All our Turquoise Gemstone Necklaces are top sellers. This beautiful Turquoise Necklace can be worn with the Decorative Clasp in the center front, at the back of the neck or positioned interestingly on the side. 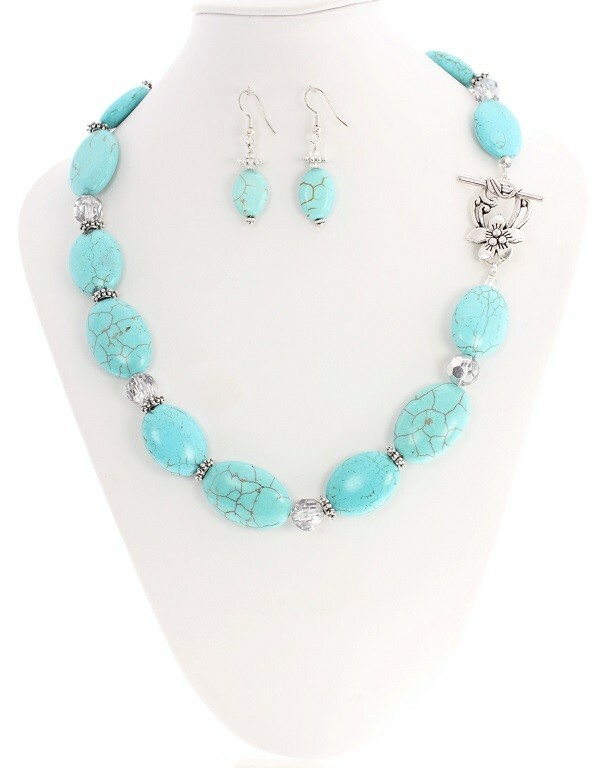 We have matching Turquoise Gemstone Earring Pairs and Bracelets available to order on request.